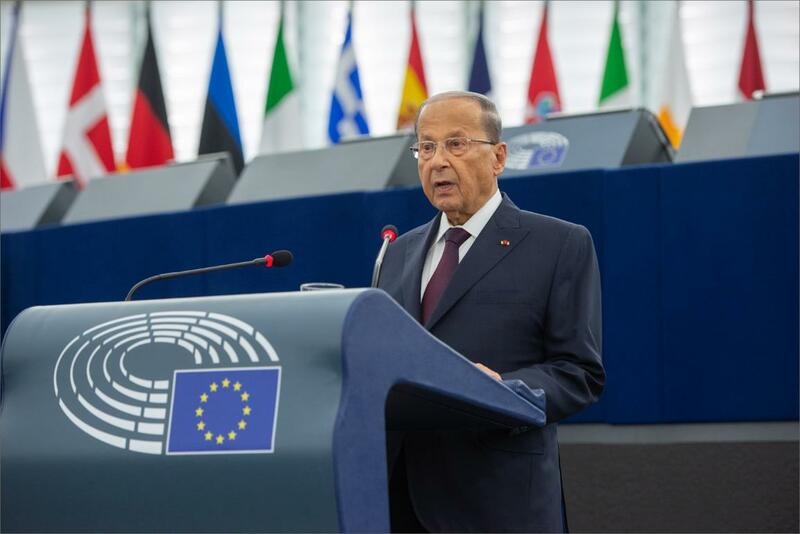 The President of Lebanon, Michel Aoun, addressed MEPs in a formal sitting on Tuesday. The devastating effects of the war in Syria, economic development, recent political elections in Lebanon and peace prospects in the Middle East were among the issues addressed during Mr Aoun’s first official visit to the European Parliament. Referring to the consequences of the Syrian conflict on his country, the Lebanese President said: “The displacement - of Syrians in particular - remains one of the heaviest fallouts of the neighbourhood wars thrust upon us, from an economic, security and social point of view. Out of human solidarity, Lebanon received more than one and a half million displaced Syrians, all of them having fled the hell of war in their country”. EU-Lebanon relations are governed through an association agreement in force since April 2006. The European Union is also Lebanon’s most important trading partner, accounting for around one third of Lebanese trade.